Roadway Lighting | Lighting Maintenance Inc. Lighting Maintenance Inc. maintains thousands of miles of roadway lighting. Additional services include the preventative maintenance, repair, and replacement of bridge span navigational lighting below the bridge deck and navigational lighting on channel fender systems. This includes all circuits, conduits, fixtures, lamps, distribution boxes and all its parts. These activities involve working from the bridge deck, requiring traffic control and/or working from navigable water ways. 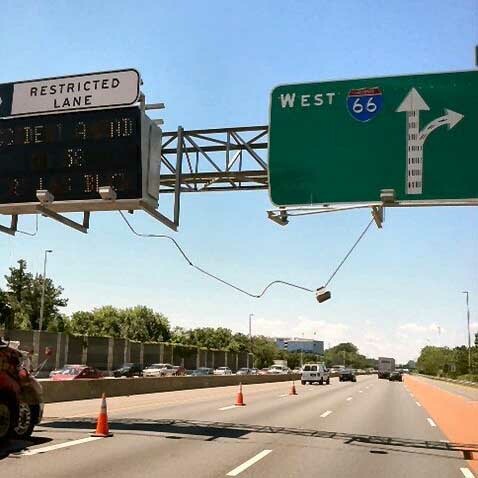 We maintain highway lighting on interstate highways from north Baltimore, Maryland, to Richmond Virginia, to Hampton, Virginia. LMI’s Roadway Lighting Crews performs overhead electrical services on conventional roadway, underpass, high mast lighting, and overhead sign lighting. Repairs include but are not limited to lamp, ballast and photocell repair/replacement; installation of light pole and/or luminaries arms; complete fixture replacement; and cleaning or repair of components. We perform installation, maintenance and repair of conduit, junction boxes, conduit bores, grounding, installation and repair to concrete foundations; locating, installing, testing, and splicing conductor cables; and modifications to service panels.